That was Drummond’s fifth 20/20 game of the season and 10th double-dub. He has played 12 games. He is also leading the league in rebounds with 16.6 per game. DRUM DRUM DRUMMOND. Currently, he is the 39th player according to Basketball Monster after finishing as the 22nd player last season. The main reason is the drop in assists (3 vs 1.5). If only he could hit his free throws! Regardless, 19.6 points, 16.6 rebounds, 1.5 assists, 1.2 steals, and 1.6 blocks while shooting 56% from the field makes for a bad, bad (as in good, good) player for fantasy. DRUM DRUM DRUMMOND. Beep. Boop. Bop. I was wondering why the Stocktonator had Beethoven’s 5th Symphony on loop yesterday. It loved Drummond and had him as the #4 player. At least he notched that B to make him whole again. Unfortunately, he left the rest of his game at home. Bullock has opened this season frigid cold from the field. Brrrrrrrrrrrrrrrrr. 32% from the field and 27% from downtown. Have no fear, though. Regression Man is here! He’s a career 43% shooter from the field and 39% from downtown. Played 25 minutes. You wish that Ish would swish to squish the anguish and banish the blemish of the outlandish amateurish shooting. Played 25 minutes. For the prior four games, Galloway received 24, 26, 35, and 20 minutes of run. He has scored in double-digits each of the past five games and will grab some rebounds, but won’t contribute much else outside of a handful of assists. Played 32 minutes. Back-to-back games scoring 14 points. Has scored 14 points a total of four times this season. Has yet to score more than 14 points in a game. Ain’t no glass ceiling here. Zeller has been getting more minutes as of late and has established himself as the center in Charlotte. He will grab some boards and provide blocks. Played 24 minutes. Bridges was averaging in the mid-teens for minutes to begin the season. Now, it looks like he’s settled in the 24 minute per game range. Not a high usage player, Bridges is an athletic 3 & D player. As in, 3 & Dunk player. Michael Kidd-Gilchrist sprained his ankle and only played five minutes. If you are relying on MKG for fantasy, Godspeed. If he misses time, could benefit Bridges the most. Tony Pepe Le Pew Parker. Played 28 minutes, a season-high. Parker can still score, as he reached the 24-point mark for the second time this season, and provides a cheap source of assists, but he’s inconsistent from a production and minutes played perspective. You don’t mess with the Bojan. He won’t provide assists or blocks, Bogdanovic does drain 2.1 threeecolas a game and will get 0.8 steals. He’s shooting 50% from downtown! On the season, Oladipo is the 19th player according to Basketball Monster (13 games). The most recent seven games, though, he’s the #4 player. Oladipo Hoooooooo!!!! On my tombstone, someone make sure that, “I walked the full 500 Myles” is etched on it. Thank you. Someone is getting Harden excited…..about Melo possibly leaving? Beep. Boop. Bop. The Stocktonator was Harden and excited, as it had him as the #1 player last night. Played 33 minutes, as the Rockets only went eight deep last night. Clark had played 24, 27, 24, and 21 minutes the prior four games. Clark will not be a fantasy Superman, as he’s not a particularly good shooter, but he does contribute the D, if you’re into that sort of thing. Played 29 minutes, but bruised his left knee. He is questionable for Tuesday’s game against the Nuggets. With Aaron Gordon out due to an ankle sprain, Jarell Martin took his place and played 28 minutes. Someone to keep in mind when injury strikes, as he does have the ability to contribute across the board. His stat lines are so lovely that my next kid shall be named Nikola. I better not slip one past the goalie. Vucevic is the 15th player according to Basketball Monster and is on his way to being a member of the 1/1/1 club in back-to-back seasons. Only played 19 minutes. No foul trouble or injury that I can see. He did sprain his ankle a few games ago, so maybe that’s the reason. Or maybe not. I’ll chalk it up to the Magic making the Knicks disappear, 115-89. When I heard that Gordon was out….. Unfortunately, he did not start and only played 18 minutes. Clifford is such a party pooper. Only played 22 minutes, but was en fuego and was set up for a huge night. Alas, the Knicks pulled a Kaiser Soze. Since the start of November, Ross has averaged close to 28 minutes, 13.2 points on 12 shot attempts, 2 threeecolas on 6 attempts, 3.6 boards, 2 dimes, and 1 steal. Not bad for shopping at a discount establishment. Can we combine him with Blake? Blitchell Griffinson? Frank Ntilikina only played 6 minutes, as Fizdale wanted more offense in the lineup. Burke was the guy that replaced Ntilikina to start the third quarter and played a total of 20 minutes. I’d keep an eye on him to see if he does get more minutes, but me thinks that Ntilikina is a part of the “Not Trying for Zion” campaign. Played 26 minutes. The health and minutes are good to see. From a fantasy perspective, though, what else does Knox offer besides points and threeecolas? Ho hum. Another double-dub for Kanter in 26 minutes. That’s five in a row and 10th of the season. With the Knicks getting healthy, getting minutes will be an issue for Trier. It’s too bad because he has the ability to stuff the stat sheet. Imagine when he learns how to shoot. G is so ridiculous that I’m beginning to think that he will be the first player to dunk from the three-point line. Played a team-high 37 minutes and is the perfect complementary piece for G. I’m still baffled as to why the Lakers did not want to keep him, but whatever. Brogdon does not bring the D, but he is the 71st player according to BM due to the 1.5 threeecolas, 3.9 boards, and 3.5 dimes with 50% shooting from the field. Classic example of high floor/low ceiling player. PM Dawn. A return to the glory days. Consistency may be an issue, but this is what he can do. Got the start, as Torrey Craig went back to the bench, and played 30 minutes. I am intrigued because Juancho can shoot and should get a ton of good looks in this offense. Just don’t expect much outside of contributions on the glass. Played 20 minutes, which makes me sad. I wish he’d get more minutes, but it is what it is. Uno. Dos. Trey! Played 28 minutes. Morris has been getting around 24 minutes over the last four games. A source of cheap assists and steals. Played 30 minutes, the first time reaching that mark all season. That’s the good. The bad is that Hayward may have difficulty being a top 100 player for fantasy. The Celtics are going to bring him along slowly and the usage rate is under 20, a far cry from the 27.6 during his Utah days. Channing must be so proud that someone is keeping the family name relevant. Doo doo Brown. I’m blaming everything on the foot injury. Over the past five games, Kyrie has been the #1 player according to BM. For the season, he’s #16. I don’t know what’s gotten into him, but he’s averaging 1.2 rebounds more than last season! There’s value in knowing exactly what you’re going to get night in and night out. Nurkic is a top 70 player for fantasy. Points, rebounds, blocks, and excellent field goal percentage. Where Nurkic has made the biggest improvement is in the free throw shooting. He’s attempting more (4.2 vs 3.5) while shooting a higher percentage (79% vs 63%). Not sure that continues, though, as he’s a career 62% shooter from the line. Dame Dollar. Straight Cash Homie. The Trail Blazers have two interesting big men in Collins and Leonard, as both can stretch the floor and shoot from downtown. Collins played 20 minutes, while Leonard played 18 minutes. Not fantasy relevant outside of the deepest leagues, but they are both worth keeping an eye out if injury strikes or one starts getting more minutes. A performance befitting a LeBron. Played 27 minutes, the most in six games. Dewayne Dedmon did not play. Len is so frustrating because he has upside. Unfortunatley, there’s no consistency and the downside is as low as the upside. 1.6 threeecolas, 18.4 points, and 7.8 dimes are what Trae delivers. The field goal percentage is low, though, and the turnovers are at 4 per game. In addition, he does not bring the D, which is surprising because I thought steals would be a part of the package. All in all, I like Trae a lot, but for fantasy, there are obvious warts. Bazemore is a top 100 player for fantasy. He’s a double-digit scorer, provides threeecolas, grabs 4.3 rebounds, dishes 2.1 dimes, and provides the D (1.6 steals and 0.9 blocks). 45% from the field and 71% from the line ain’t bad either. The floor is relatively high because of the across-the-board contributions, but the ceiling is limited and there are inconsistency issues. Kuzma is getting the minutes (32.1) and shot attempts (15.3). Outside of threeecolas and boards, though, he doesn’t contribute much. LeAmazing be LeCoasting. The usage rate is still around 30 and he’s the 13th player according to BM, but…. Not even in the top 200 for fantasy. Ingram is going to be my hometown Myles Turner. The nightly triple-dub threat is there. Unfortunately, so is the nightly bagel. McGee played 27 minutes, while Chandler played 21 minutes. The minutes have come down for McGee since Chandler was acquired, and Chandler is in there at the close of games due to his defense. Ha! I wish, but I enjoy using threeecolas. It’s here to stay. Finally dumped Tyreke this morning… I’m over it. Scooped up Cook, hopefully he get’s the start for Curry thru the 5 game week. As the team I’m going against this week has KD/Klay x 5. Will move on from Cook when Currys back. But in my big league, I own Saric, Taj, & Embiid.. all will be affected. Thinking maybe Taj will be a drop at some point, but gotta wait and see. Ayyyyo! I like both moves. I like the White pickup. @I just wanna Kawhi: in order to receive, one must always give. Ooohhhhmmmmm. 12 team, H2H league. You adding White here and if so, who goes? Would you trade away Malcolm Brodgon for SGA? Who would you roster ROS: Kyle Anderson,Mitchell Robinson, Batum, and Nance? Crazy to think that Anderson, Robinson and Nance have more upside? Coach hinted that Batummay lose minutes to Bacon as the season goes on? Anytime, although there’s a chance you may be cussing me out later! What fo you think of BroLo this season? I think he’s doing what Myles was supposed to be doing.. Anyway, surprise to see he’s still available in FA and being really underrated on our league. My punt assist squad is pretty loaded and white is the most reasonable to drop. I know he’s hot topic as of late but would you drop him for BroLo? I know, patience grasshopper but something is up with OPJ. Got his money and now takes one shot in a half? Untraceable contract? Ugh, what a mess. @JC: I don’t think it’s a getting paid issue. The whole team is a mess. With that said, he was never a high usage or shot jacker, so any dip is magnified. 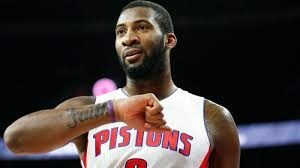 Marcus Morris or Bogdan Bogdanovic in 9cat h2h? Is Danny Green still worth holding in 10 team leagues for 9 cat?